Having hung my first painting for the nurses treatment room at our local hospice , we decided it needed a second complimentary painting to cover some rogue screws that were left from a previous fixture. 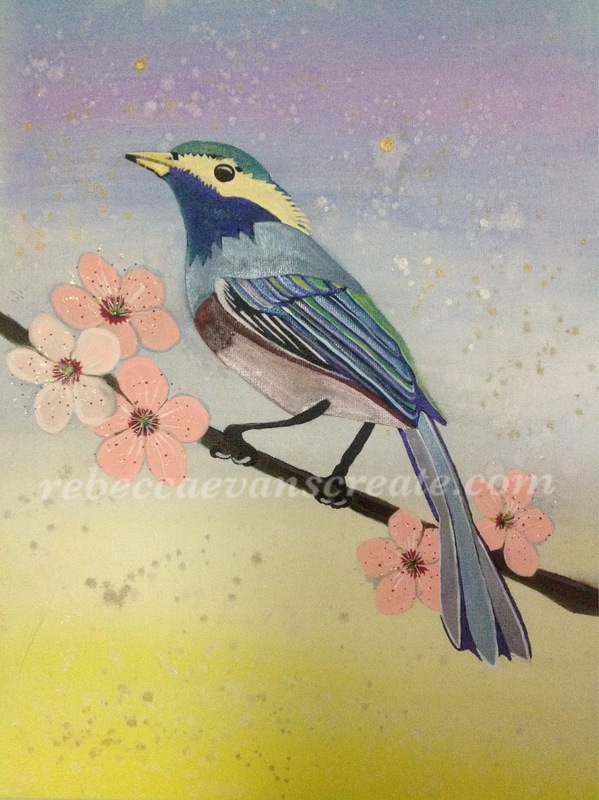 I stuck with a bird and blossom theme, and used similar colours ( not exact as I had mixed them up myself) also glitter and gold, hopefully this will look good with the previous painting. It is smaller, less than half the size, but over A4. Watercolour, gouache, twinkling h2o’s, gold ink, glitter, irridecent watercolour medium. 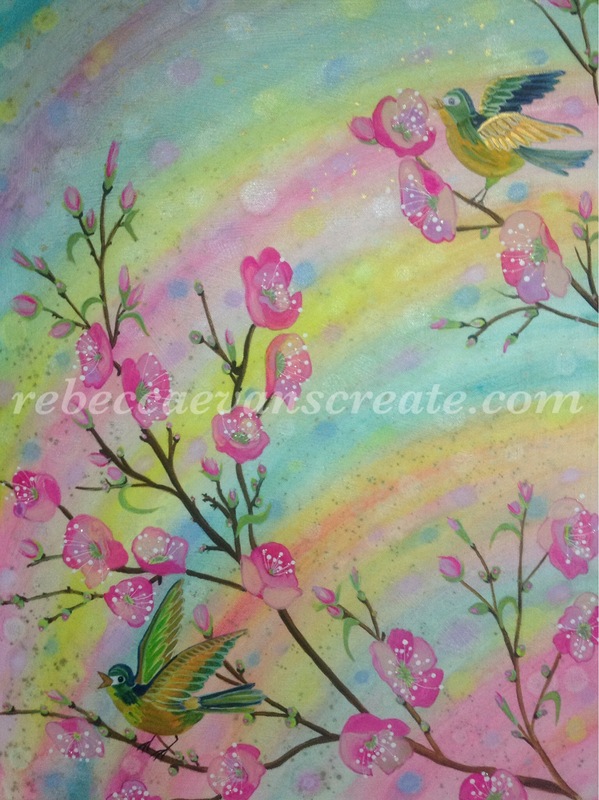 This entry was posted in art, bird, blossom, hospice, watercolour and tagged art, bird, blossom, hospice, painting, Painting, watercolour. Bookmark the permalink. What a lovely idea to hang your paintings in a hospice. They are very nice, and I am sure will bring much joy to the patients.